There is nothing we won't see from there rising slay queens in Africa. They have all risen above the normal "pepper them gang". The rate at which girls are going on photoshoot on their birthday suit is alarming and startling. Where are morals? Was this how Omotola, Rita Dominic, Kate Henshaw and the likes rose to fame? I am very much aware people like Cardi B, Vera Sidika, Nicki Minaj and Blac Chyna all rose to fame selling nud1ty, but must we copy these selected few? Why not copy the likes of Beyonce? Huh? 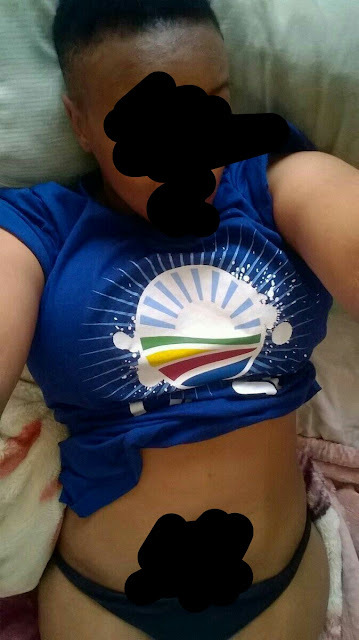 Just imagine what this young lady shared on a telegram channel. And the acrobatics she added made it more annoying..